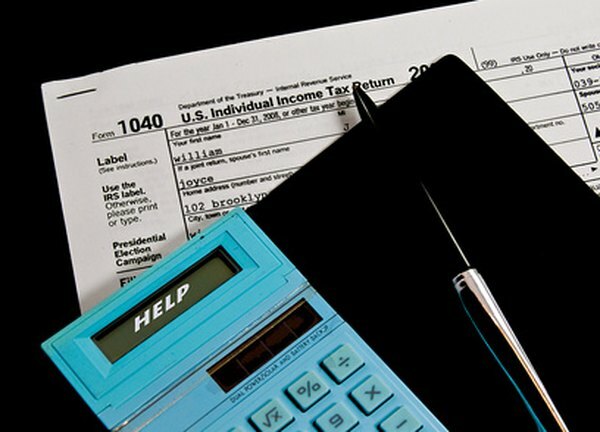 Find tax forms appropriate to the year in question. Under Internal Revenue Service regulations, if you do not expect to owe any tax, you do not have to file your federal return by April 15 of the following year. In fact, you have three years from that tax-filing date to get your return in to the IRS. So if your original due date is, say, April 15, 2013, you could file a no-taxes-due return as late as April 15, 2016. Filing a return for a previous year takes diligence, however. Gather your tax-related data for the year in question. This includes IRS Forms W-2, various Forms 1099, pay stubs, as well as information that pertains to deductions and exemptions, such as medical and dental bills, insurance deductible payments, sales tax records and retirement plan contribution and distribution data. Download the IRS Form 1040 with instructions for the appropriate year. The IRS tax form archive dates back to 1980. You can also find on IRS.gov any accompanying schedules or forms that you need. Alternatively, you can phone IRS customer service and request that the forms be mailed. Fill out the forms and schedules. This process may require completing worksheets that accompany the forms. Use a calculator and recheck your math for accuracy. Sign and date the Form 1040. Submit the return by mail to the IRS location that corresponds to your state. You can find the address at the end of the Form 1040 instructions. Look for your refund check, if any, by mail. It may take six to eight weeks or more. If you find that you owe taxes for a previous year, include a check or money order in the correct amount with your return. Late penalties and fees apply to late tax payments. Look for an IRS notice that details the amount of any penalty tax. You may be able to set up an installment plan to pay any amounts you cannot afford. The IRS might even accept an offer in compromise. Can Backup Withholding Be Taken From an IRA?